We have previously written articles about recovering deleted digital photos from memory cards and flash drives and also recovering files in general with data recovery software. In most common situations, images and other types of files can be recovered or undeleted if the data hasn’t been completely overwritten. However, there could be a chance that a recovered photo might be not viewable after recovering. This usually happens if the file has not been 100% correctly recovered and perhaps some data has previously been overwritten or that specific area of the card/drive has bad sectors and is corrupt. 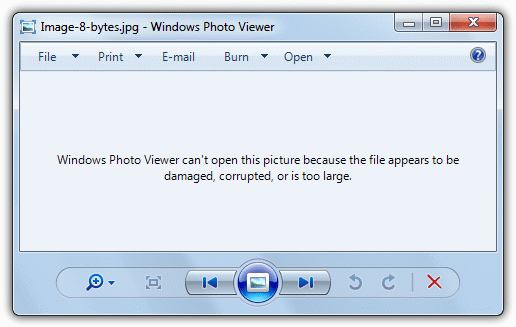 Some of the photos you get back might display perfectly and others might give you the message that the picture is damaged or corrupted in a picture viewer such as Windows Photo Viewer. This type of error will be displayed if the photo cannot be identified as a JPEG image and usually means the beginning part of the image is corrupted, the part which tells other software what type of file it is. Of course, digital photos can be megabytes in size so it might not be the start of the file that has the problem. In that case, you might see some or all of the image displayed but there are problems with it. The image above has issues and the middle of the file has corrupted data. 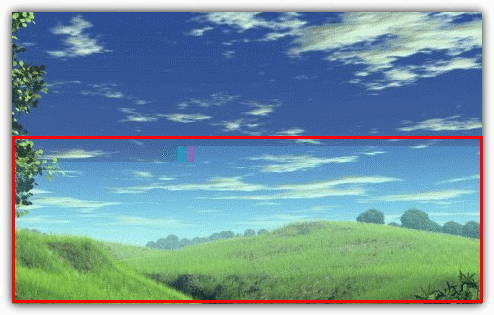 The second half of the image appears to be there, at least in part. In terms of computer software, there’s virtually nothing around that can repair these image problems for free. 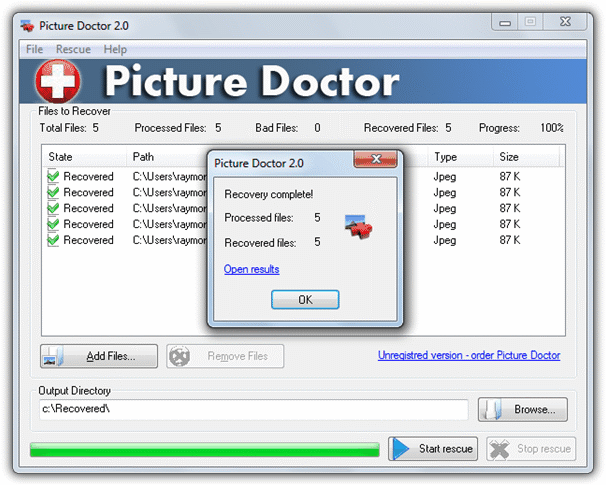 There is however, a lot of software around that claims to be able to restore your corrupted photos for a fee. Software developers know how valuable these memories can be to many of us which is why they believe people might be willing to pay big bucks if the photos can be rescued. The first 3 images will not usually open in an image viewer/editor and will produce the type of error shown in the top screenshot. The bottom 2 will often show some of the image but data below the corruption will be garbled or incorrect. Just 32 corrupted bytes in an image can be noticed, like below. Stellar Phoenix JPEG Repair claims to be able to repair corrupt or damaged JPEG/JPG files, even if the files are completely unreadable. It also offers to repair and save embedded thumbnails. This program is perhaps the most heavily advertised around the internet and you’ll see more about this online than most other photo repair programs. Users of PhotoShop might be interested in Picture Doctor because it lists PSD files and layers as being repairable in addition to JPEG files. 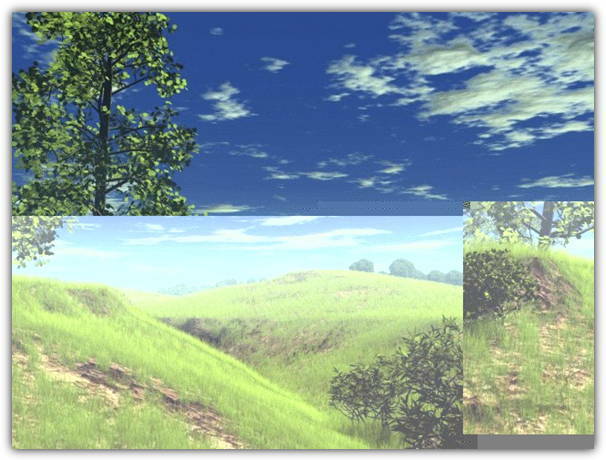 Recovered files are saved as BMP files after the repair. What’s disappointing about Picture Doctor’s demo is the watermark covers most of the image so it’s hard to see if the fix has worked or not. All the shareware tools here watermark their results. Where did you find Filerepair for free? It is just a trial version I have found so far. I think they are just another “gold prospectors”. It would be interesting to see how the original set of files stand up to the latest versions of the programs you tested. They have gone through some versions in the ensuing years and a few more players with wild claims have entered the fray like “asoftech” who use the word “data carving”. Asoftech is really bad (tested). Data carving however is a common phrase in data recovery ‘talk’, it is not something they have come up with..
Wow, this is awesome and so true too. I’m seeing allot of repair utilities these days, and they’re all completely useless. Unfortunately that doesn’t help anybody who really needs a repair badly enough. I had a client come in last year with that very problem and used several different tools, and well no result. I had to tell him that I couldn’t recover the files and watched him leave in misery. See my above post, they can probably help you. Thanks a ton for the honest and detailed article. You even went through the trouble of charting the results. Saved me a lot of time in making a decision on which to try first. I don’t usually leave remarks, but this article was really informative, and so straight forward and easy to read, I thought it worth a “2 thumbs up”! Well done and Thanks. It’s a pity that I only found it after I had installed and tried all of these programs and found them to be useless at fixing anything to do with corrupt jpegs! At least JPEGSnoop gives you a chance of seeing what me be wrong with the file. It’s a shame no-one can be bothered to develop a proper program.. it must be possible, and would them be worth paying for! Thanks a lot for this valuable review. Thanks for the honest review. I was coming across problems that no site seemed to address until I read this. Thanks for the review, Raymond. Not what I wanted to hear, but you saved me the time of trying them all out. Any additional insights? How is progress with the software tool you are developing? Thanks for the great information. I encountered a massive corruption of my jpeg files about six months ago, or so I thought. I use Ghost to backup my files. Since I had not viewed some older files, they became “toast”. Whether or not I can recover these files does not diminish the respect I have for your free analysis of these tools. This was an extremely informative review. thank you! I read two (2) programs ??? is any more….??? Thanks for sharing such good information. I have learned much by reading. Any advise on the following? My jpeg displays all photos 100% clearly. However when I attempt to burn photos onto a CD or DVD or flash drive, the entire process is completed without apparent disruption, when i attempt to print from CD ,etc.. or view on another laptop or TV it will not show pics, even taking the CD etc to the photo processing lab at Costco the pictures are not found on CD, etc. Hi, it might be problem with your recorderor just recording method. make sure that you’re not burning it in USB mode (making it able to add files later) – XP and older OS, as well as TV, can’t read unfinished CD/DVD. Where can I download these test images, I have developed a tool to correct JPEG images, I can sent you examples of the files I have been correcting. I would like to see how my app stands up to these you have tested. If it corrupted them for purpose, then it is not recoverable and you should restore backup. If it just deleted them simply, then i would use Recuva software. Thanks for this extremely useful! Thanks for the tip. They are resources that at any time are required.